Indian Bell Pepper Curry Recipe	No ratings yet. Fried Bell Pepper in spicy Peanut-Sesame-Coconut Sauce. 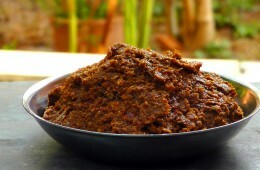 A wonderful and simple Indian Recipe. 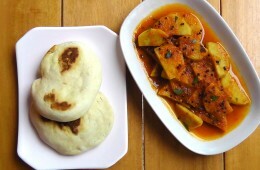 Indian Aloo Jeera Recipe	No ratings yet. Spicy Potatoes wit Cumin Seeds. This is a Recipe for a very easy but delicious Indian Potato dish. Indian Sweet Potato Curry	No ratings yet. 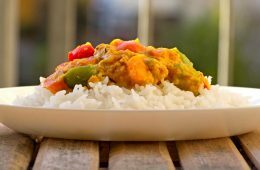 A very delicious and easy Indian Sweet Potato Curry. Not too spicy and very nice sweet taste. Perfect with some Bread. Thai Red Curry with Tofu	No ratings yet. 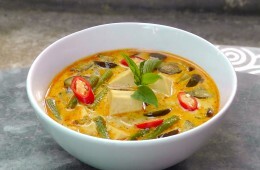 The famous Red Curry is called "Kaeng Phet" in Thai and means spicy soup. 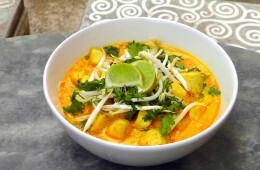 I love all the Thai Curries because they are so simple to prepare and taste so delicious. 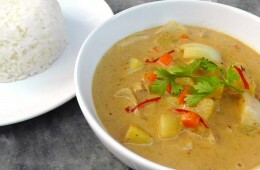 The Curry paste is fried in oil and then the Coconut Milk, vegetables and Tofu are added. This spicy soup is best eaten with Rice. Indian Aloo Bean	No ratings yet. A very simple Indian dish. 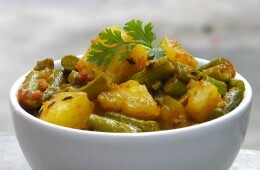 The Potatoes and green Beans are cooked in a full-flavoured Tomato Sauce with Cumin and other spices. Thai Massaman Curry	No ratings yet. Thai Massaman Curry Paste	No ratings yet. Malaysian Laksa Curry Soup	No ratings yet. 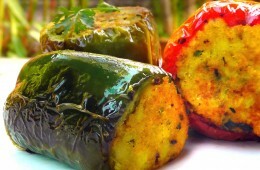 Indian stuffed Bell Pepper	No ratings yet. Indian Potatoes with Spinach	No ratings yet. 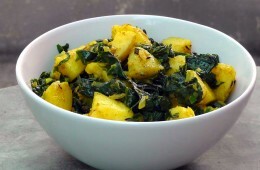 A delicious and easy Indian Potato and Spinach Recipe. This is a dry and a bit spicy Curry and very quickly made if you already have the Potatoes prepared.